Your Music, Your Stations, Your Podcasts. All Free. 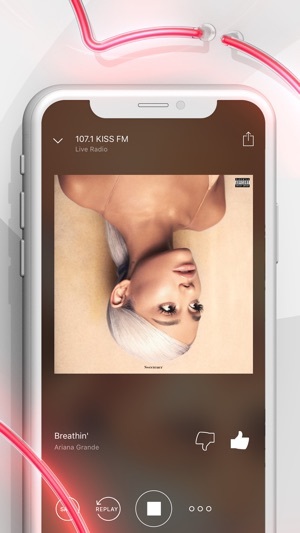 Unlimited streaming music, thousands of live radio stations, podcasts and playlists for any mood or activity all in one app. 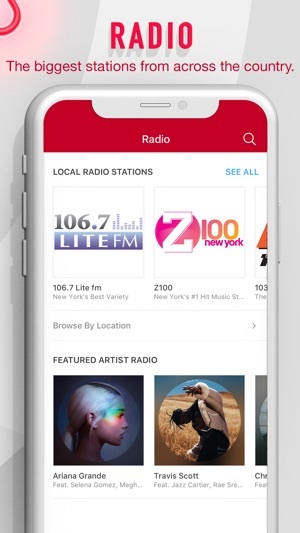 iHeartRadio is easy to use and best of all, it's still FREE. 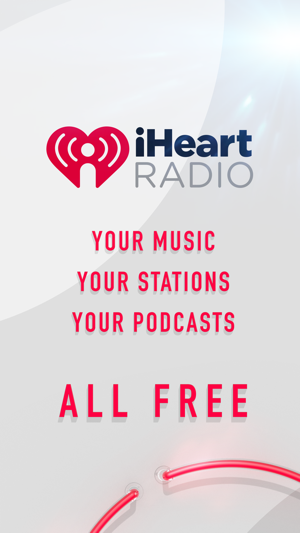 Download iHeartRadio today and start listening to your favorite music, live radio stations, and podcasts! 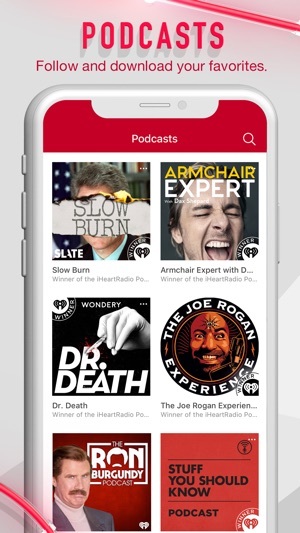 • Stream the most popular podcasts from NPR, Gimlet, How Stuff Works, ESPN, 30 for 30, Pod Save America and from personalities like Ron Burgundy, Anna Faris, Colin Cowherd, Joe Rogan, Ben Shapiro, Bobby Bones, Barbara Corcoran and more. • Create personalized music stations based on your favorite artists using our library of millions of songs covering genres like Country, Top 40, Pop, Hip Hop, R&B, EDM, Rock, Alternative and more. • 'My Favorites Radio' collects all of the songs you love in one free personalized station. 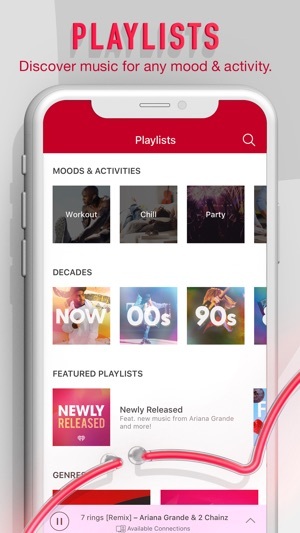 Listen absolutely free with ads, or take control of your listening experience with iHeartRadio Plus™ and iHeartRadio All Access™. Tell us how we can improve by sharing your thoughts at https://help.iheart.com! Please note: This app features Nielsen’s proprietary measurement software which may allow you to contribute to market research, like Nielsen's TV Ratings. To learn more about our digital measurement products and your choices in regard to them, please visit http://www.nielsen.com/digitalprivacy for more information. Payments will be charged to iTunes Account at confirmation of purchase. Subscription automatically renews unless auto-renew is turned off at least 24-hours before the end of the current period. Account will be charged for renewal within 24-hours prior to the end of the current period, and identify the cost of the renewal. Subscription may be managed by the user and auto-renewal may be turned off by going to the user’s Account Settings after purchase. Any unused portion of a free trial period, if offered, will be forfeited when the user purchases a subscription to that publication, where applicable. Loved this app on my Windows Phone, installed it when I was forced to switch to iPhone (which has been an inferior user experience in almost every way - it can’t even do autocorrect as well as the WP, but I digress), and it was pretty similar throughout the fall of 2017... logged in today, December, to find everything changed. I can’t figure out how to get to my favorite artist-based station (can find artist in search, but there doesn’t seem to be a station option anymore?) can’t find the Recently Played Songs list once I’m playing a station. It’s fine to change things, but not in such an extreme way that it appears so nonsensical to even fairly on-top-of-things users that they can’t easily find the features that are important to them. I don’t know if it was a web app before, but it must be because I don’t recall downloading an update and everything is just a little off, not polished and smooth like a native app would be. I expected that sort of thing on a minority platform like WP, but it’s really disappointing to have a worse experience on a brand new iPhone. Anyway, this app is in need of some major organizing/UI changes before it can match the user experience of previous versions. If I have to put in hours curating my stations (which looks like the direction this is going), as opposed to having a variety of stations that are good, just need minor tweaks to be great, I’d might as well use Pandora! Hi there, thanks for providing this feedback about your experience using the iHeartRadio app on your device. We'd appreciate some more info so we can help! 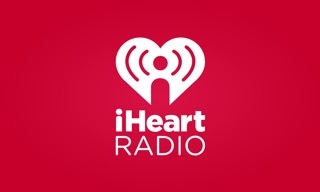 Can you contact us via email to ios@iheartradio.com? Look forward to hearing from you. I would have given it a five star BC I simply love being too listen to my home rock station when I'm working BC I work out of town most of time. But for some crazy reason lately it has started at 100% volume, even just now I got a head start on it and began working it down to about 60 % for it just to jump right back full blast even though I was holding down on volume button. Now I really can't explain how out why it would be turning down and almost to the half mark just for it to jump to the full volume while I'm still holding on the volume but this is not some thing that I can take or tolerate at 615 am nor will my boss's or work mates at this time in the morning and hell it could give some one a heart attack when u go from nor hearing a thing where a needle could be able to be heard hitting the floor. But you could say every one is awake today after this Bluetooth box going off. Please let me know what could and out can be done and if it's anything to do on my part in really sorry for not given the extra star but I had the volume working down for it to start over. Thanks and please have this fixed or fixed for me. Have no complaints about anything else so everyone download this app and listen to your favorite tubes so day and all the time for free. Hi Todd, we're here to help! Shoot over an email to ios@iheartradio.com so we can take a look at what's going on behind the scenes!